Welcome to the Mason-Dixon Barbershop Chorus home page. 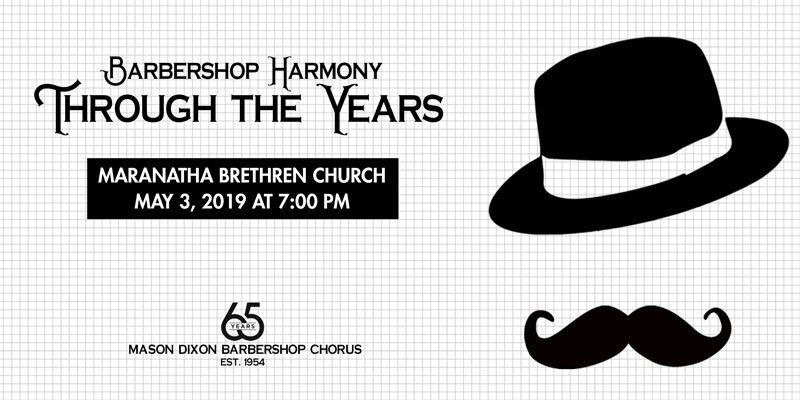 Celebrating more than 60 years, the Mason-Dixon Chorus is a member of Barbershop Harmony Society (BHS), the largest singing organization in the world, with more than 22,000 men comprising nearly 800 chapters in North America. Its music is sung a cappella (without accompaniment) in close, four-part harmony. We give several concerts a year and numerous other singouts at various community functions. Come join us and after you hear that one chord “lock in” you’ll be with us for years! Click the image for more information about our show! The all-male chorus, with members of all ages, is the local chapter of the Barbershop Harmony Society, the largest singing organization in North America. We sing a cappella (without accompaniment) in close, four-part harmony. Great interview with our local TV station WHAG! Want to join us? Click here for details. Here’s a sample of that harmony in the form of a “tag,” which is typically the “juiciest” last few measures of a song – in traditional Barbershop style. (These four are at a Harmony College get together, one of many events nationwide that teach and display barbershop harmony. It’s a “pickup” quartet but each part is represented. If you look closely at the medallions around the necks, at least two of them are International Champions from different quartets! ).